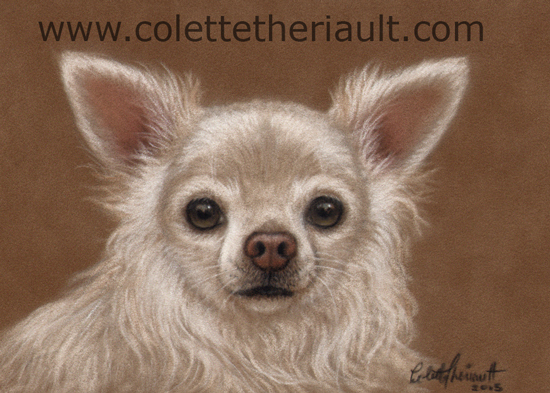 This mini dog portrait of a cute Mexican Chihuahua was commissioned as a Christmas gift. Her fur is so very soft and silky. It was done using soft pastels.